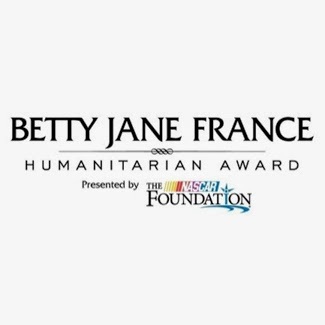 The NASCAR Foundation will kick off the Fourth Annual Betty Jane France Humanitarian Award nomination process with a call for applicants whose generosity and compassion have positively impacted the lives of children in racing communities throughout the country. 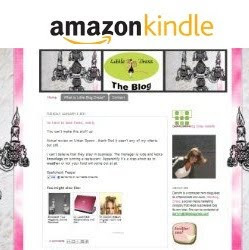 ￼chairwoman, has demonstrated with her charitable works and community efforts. “The nomination process, in and of itself, is very inspiring, as we are introduced to the good works of so many individuals who personify what the foundation – and the award – are all about,” said The NASCAR Foundation Chairwoman Betty Jane France. ￼Kansas City chapter’s “Bikers for Babies” motorcycle ride, as the winner of the Third Annual Betty Jane France Humanitarian Award. ￼win, Kansas Speedway matched the donation with a $100,000 contribution. ￼The four nominated finalists will be announced in the fall of 2014, after which voting will open on NASCAR.com/Award. Each finalist will receive a minimum $25,000 donation toward the charity they support, a VIP experience at a NASCAR Sprint Cup Series race and a trip to the 2014 NASCAR Sprint Cup Series Champion’s Week in Las Vegas. The finalist who secures the most online votes will be announced as the winner during the 2014 NASCAR Sprint Cup Series Awards in Las Vegas. The winner will receive a $100,000 donation to their children’s charity. Family, friends and colleagues may nominate an outstanding volunteer at www.NASCAR.com/award. The deadline for submitting nominations is Friday, May 16, 2014, at midnight ET.